This is not a theatre anymore. 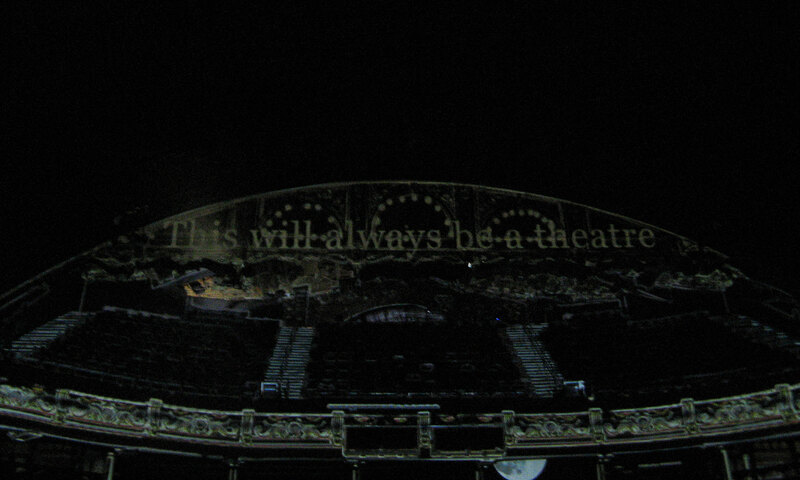 This will always be a theatre. Sea Breeze is our current project. Following a successful pilot stage in 2013 (a show and an exhibition of found objects at the Peter Scott Gallery at Lancaster University) we are now working towards its full realisation, with an extensive engagement and education process over the spring and summer leading to a full production in September 2014. Some thoughts and images from early research and the pilot stage can be seen here. Sea Breeze explores the Winter Gardens, an extraordinary, semi-derelict, late-Victorian music-hall theatre in the Lancashire sea-side resort of Morecambe. Drawing on research into the building’s history and through meetings with people who worked there behind the scenes, from its heyday in 30′s to its final days as a public theatre in the 70′s, the project will create a significant piece of site-specific theatre (taking place in the building) as well as a book, film and recording of the show and the research process. From the starting point of ‘how to tell the story of a building?’ the work is developing into an exploration of both memory itself, and of the idea of ‘heritage’. We will be working with Live at LICA and theatre company imitating the dog who are creating spectacular film projections that will fill the whole cavernous auditorium, providing an incredible backdrop for text, music and live performance. Sea Breeze is the dream of a building that has been standing, here at the edge of the sea and the land, for a century and more. If it is a story, then it is a story that we imagine the building might tell of itself. An articulation that we have opened up by our investigation; of its history, of the people who worked it, of its dormant presence now. A secret story that, once in a blue moon and at the highest of tides, it might invite a small and sympathetic audience to hear. To witness. A seaside theatre, that has perhaps seen better days, finally giving its own show. 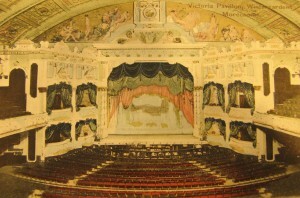 For all the great history of performers and shows that Morecambe Winter Gardens has hosted (and boasted), we have, through long research, found ourselves most drawn to the voices of the people who actually kept the theatre going. To the ushers and usherettes, flymen and lighting operators, ticket sellers, ice-cream sellers, cleaners and doormen. 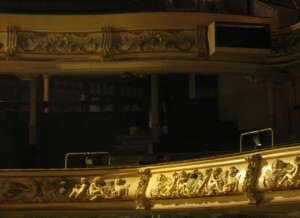 It is easy to be seduced by the glamour of the theatre (particularly in such a glamorous theatre as this), and it is even easier to overlook the ways in which it is a complex undertaking requiring the unseen labour of an invisible cast. In making Sea Breeze, we have met a few of this unsung company and been moved to hear their stories; from a man who first worked here, up in ‘the limes’ back in 1937, to two people who remember shutting up the theatre after its last public show in 1977. 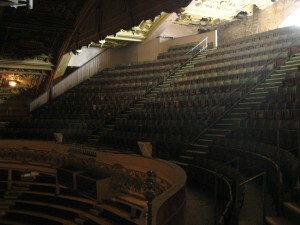 And since then, or at least until the recent valiant work of the Friends of Morecambe Winter Gardens, the theatre has been ‘dark’. 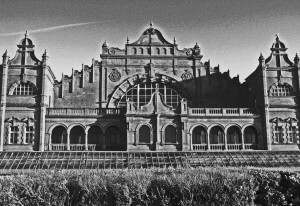 It is inescapable that, in making a show here, in the Winter Gardens and about the Winter Gardens, we reflect, not just on stories of heydays and holidays, but also on the nature of its continuing presence. It is profoundly moving to stand in the middle of the empty auditorium and imagine a night when this now empty space was filled with bodies and voices, and the laughter and tears of a crowd of three thousand (sedate in the stalls and jam packed in the benches up in the gods). And it is also, for us, a wonderful thing to be in the midst of the emptiness, appreciating it for what it is now. A repository of memory, a monument to a departed era. We imagine the building as a vast beached whale or, as local historian Peter Wade has described it, a sleeping giant… and the thing with sleeping giants is, is it best to wake them up or let them lie? We have tried to listen to all the voices and, in wandering the empty building, we have been drawn to the two friezes set in the tiled foyer, either side of the entrance doors; one titled ‘the land, the other, ’the sea’. This has led our storytelling.